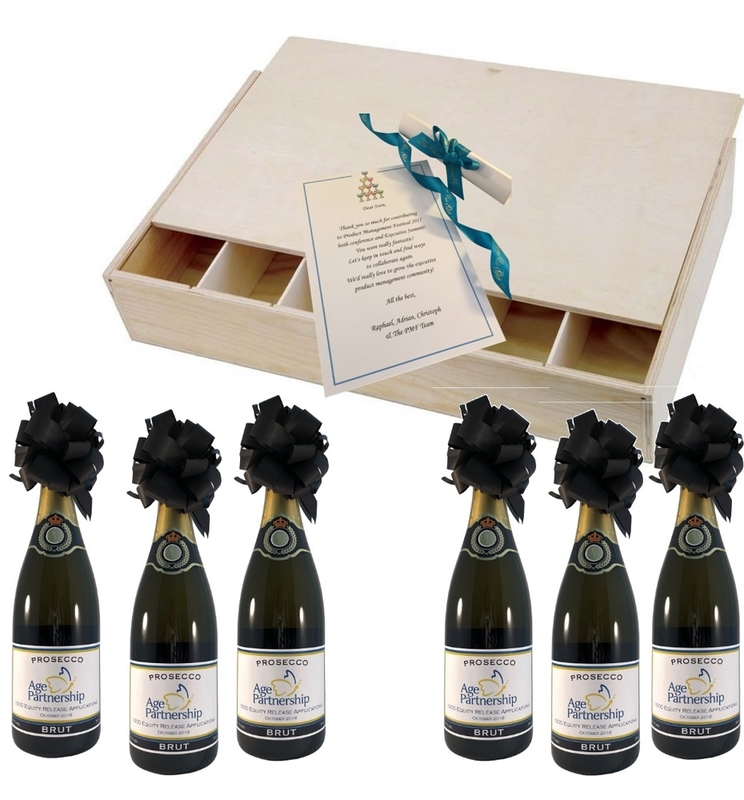 Welcome to The Champagne & Gift Company - specialising in sending luxury branded Prosecco gifts. 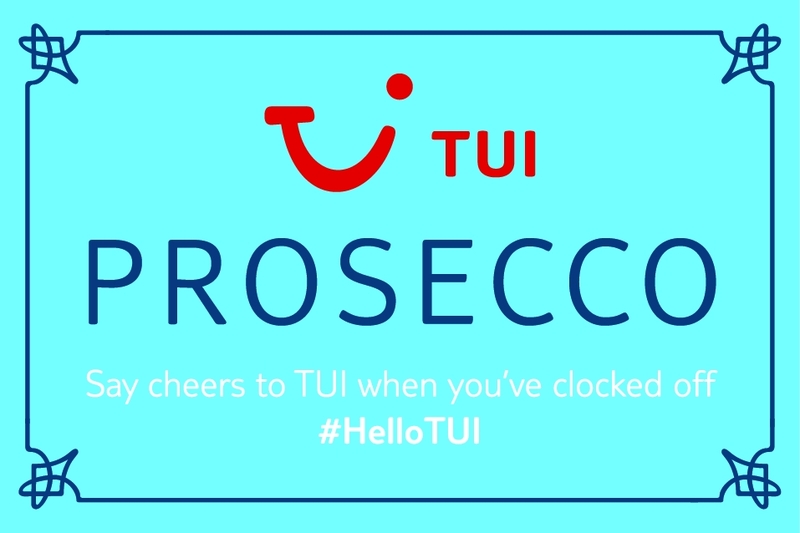 Looking for a bespoke Prosecco with your company logo on the bottle? Our dedicated team are here to share our knowledge and experience to help you find and create a branded Prosecco gift. We create luxury, branded Prosecco gifts and our service is designed to help you make a strong impression and reinforce the quality of your company brand. We will design a label for your company or if you prefer we can use your own artwork. Branded Prosecco with your logo displayed on the label in full colour is the most prestigious way to advertise your company. 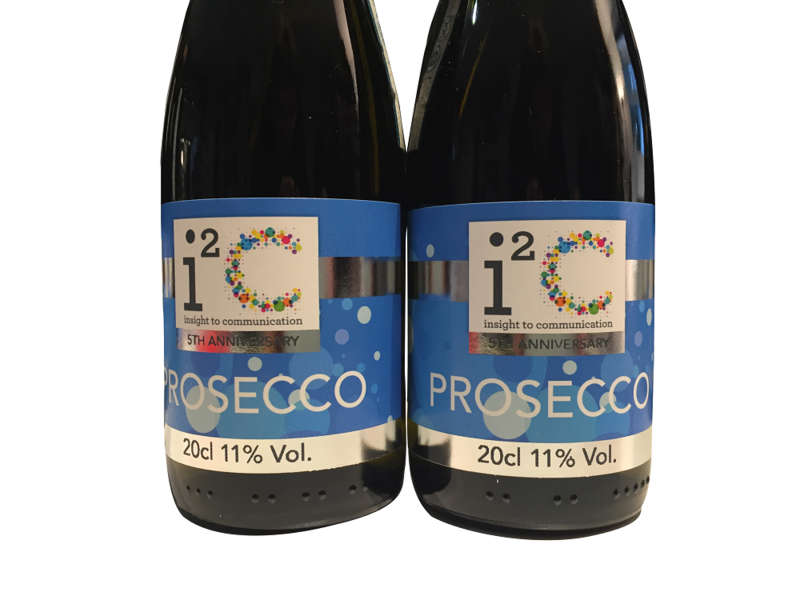 We can tailor your Prosecco label to your individual requirements. 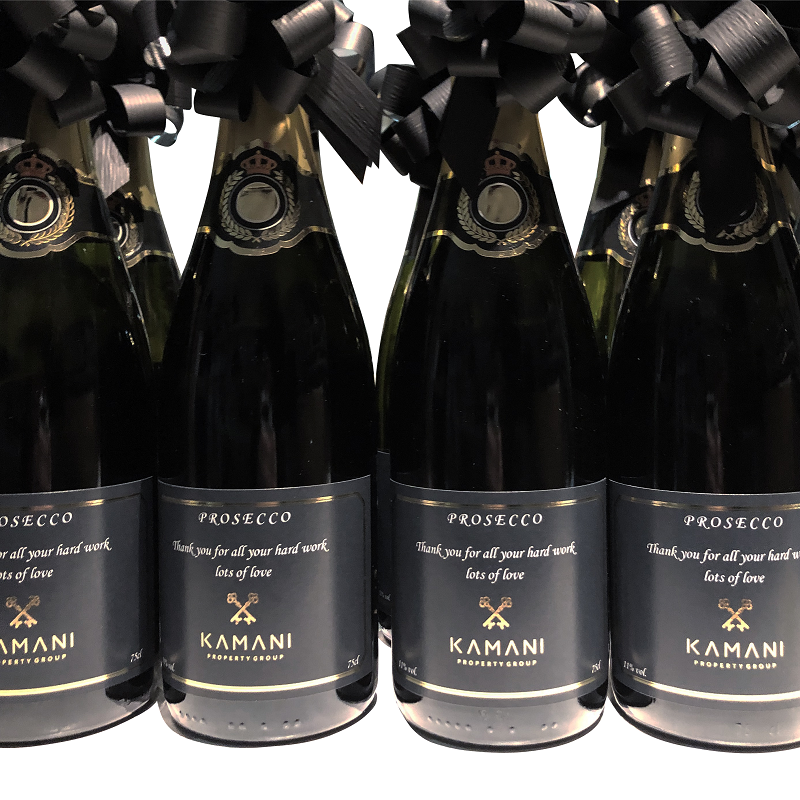 We provide an exceptional corporate gift service and have supplied many of the UK's biggest and best-known companies with Branded Prosecco bottles - ideal for events such as launches, Christmas, presentation days, race days and staff retirement gifts. 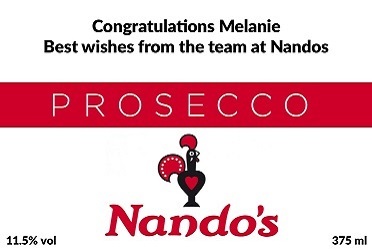 In fact, branded Prosecco is ideal for any occasion. Are you looking for a branded Prosecco gift to send out to customers or clients throughout the year, or to use as a staff promotion? Our helpful team will create a bespoke gift tailored to your specifications. The Champagne and Gift Company are one of the most celebrated suppliers of branded Prosecco. We are a specialist importer of Champagne, Prosecco and fine wines pride ourselves on the quality of our wines. Your client will be assured of the quality and brand as we leave the back label showing all details on the bottle - only the front is customised. We can create a bespoke label for every business and any occasion. 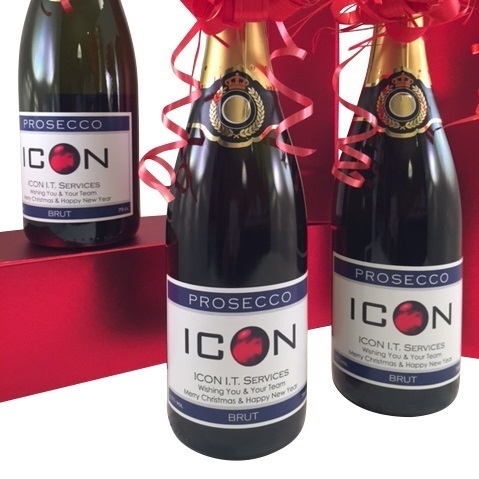 Whether you are looking to raise your company profile, celebrate your success, organise corporate hospitality events or just as a thank you to your clients or staff, corporate branded Prosecco is an ideal way to put your message across. Let us create a special branded Prosecco for your company. 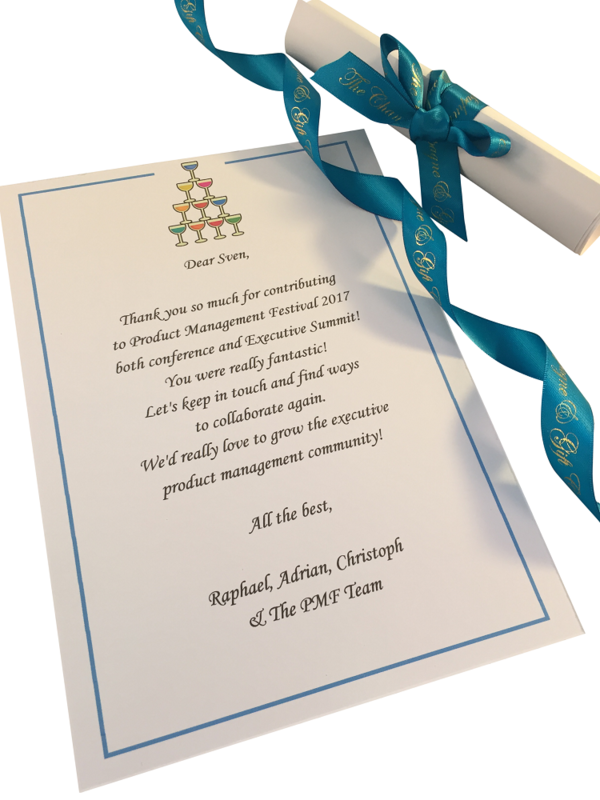 Some of the most popular gifts are miniature Prosecco bottles which can be customised with your company logo and event details. 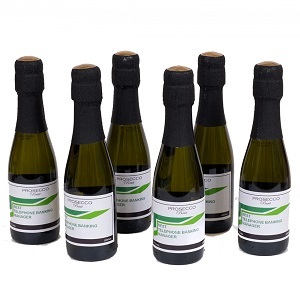 Mini Prosecco bottles with your logo on the bottle are a small but effective way to get your message across. 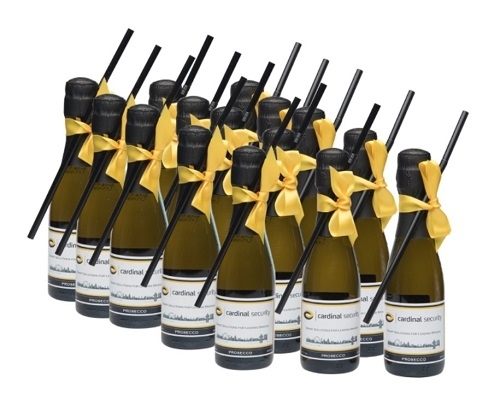 Perfectly petite and we can add bows and straws in your corporate colours - a delightful event gift! 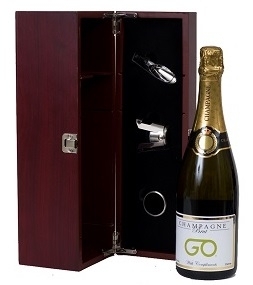 Each branded Prosecco bottle can be sent in clear wrapping or enclosed in a luxury gift box. We offer a choice of classic wooden presentation boxes and a range of coloured gift boxes. We can include a complimentary gift card with the name of the recipient and a personal message. All our gifts are beautifully presented. The Champagne and Gift Company is the number one shop for unique Corporate Prosecco gifts that are sure to impress. 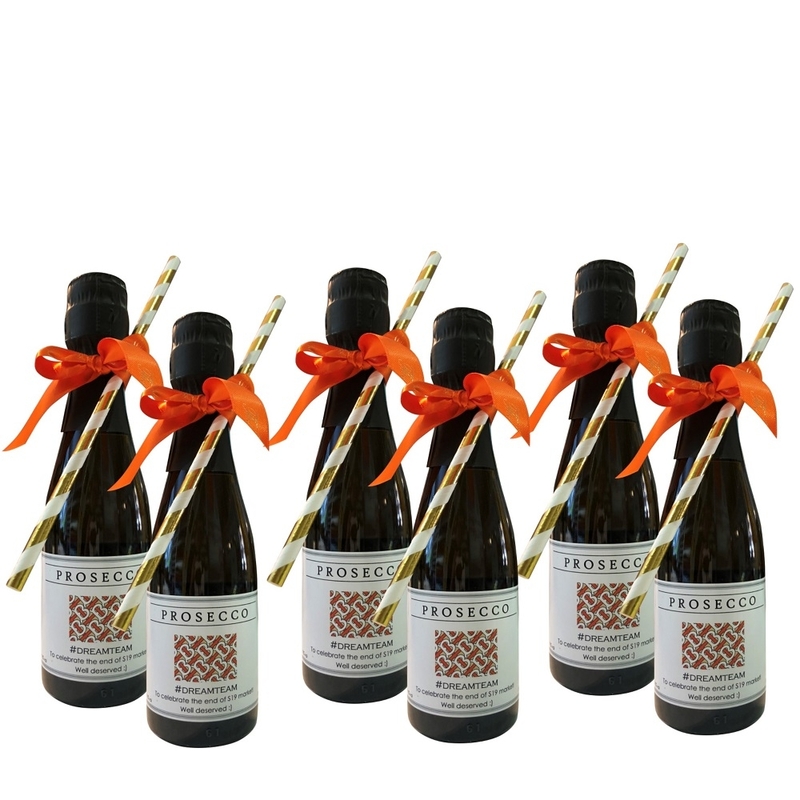 Have a look at our wide range of Prosecco gifts which are tailored for you. We offer a range of delivery options at checkout from Standard, Express or Next Day personalised Prosecco delivery. We can offer next day delivery within the UK and same day delivery service within the London area. We despatch gifts internationally on a daily basis.